Is FIIs Mantras Replacing Lord Ganesha Mantras in Market? 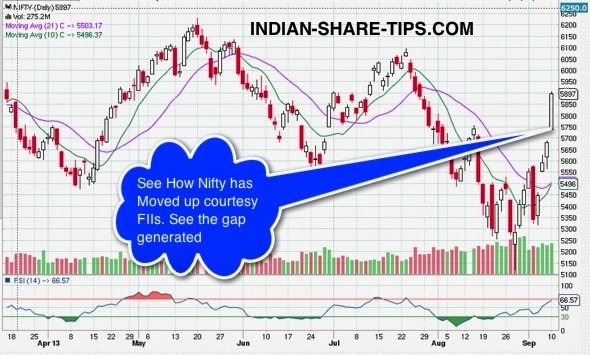 India is still a shallow market as a spate of buying by FIIs lift the Indian market like tides lift a sinking boat. 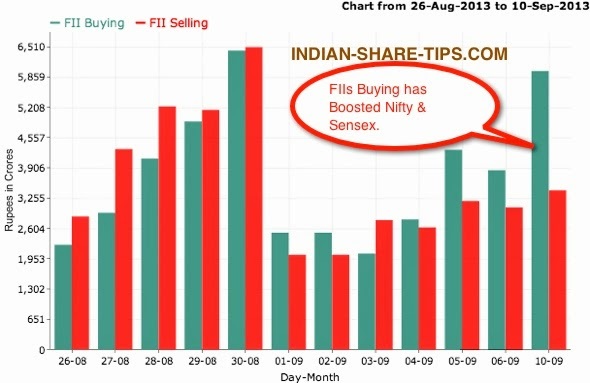 The below chart of FIIs buying on 10 Sep 2013 shows that without FIIs; it appears as if India is an orphan baby. Dear MR Finance Minister; please take actions to make Indian market with sufficient depth so that we are not dependent on any FIIs. A sudden flight of FIIs from Indian markets on eve of Rupee depreciation against the dollar and our market fell like a pack of cards. This is a satire to give an awakening call to our Finance Minister before it is too late and is not to hurt any religious sentiments. May we request all to share the post so that the echo reaches in the ears of our deaf Finance Minister who will now do nothing except roll out schemes just to garner votes which will in turn increase current account deficit and will take us to the brink of the 1991 crisis.